From Umeda, take the Shin-Midosuji towards Shin-Osaka/Senri-Chuo/Minoh. Exit at Route 171 and head west for 15 min. Sakurai Ichiba is located at the “Minami Sakurai” Intersection. The shopping arcade has no free parking so please use the Daiei Gourmet City Sakurai Parking Lot. 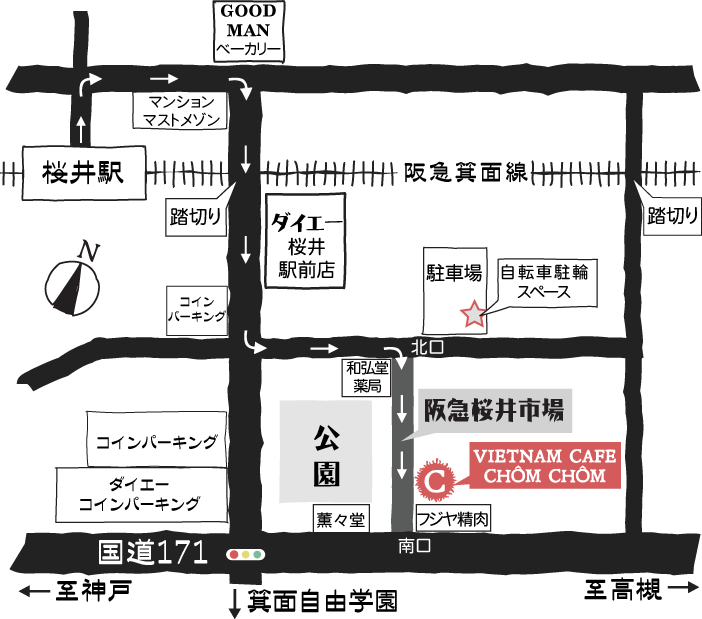 For those customers with car navigations please enter “Minoh Jiyuu Gakuen” as your destination.